Didn't get your shopping done on Black Friday? Now is your chance! 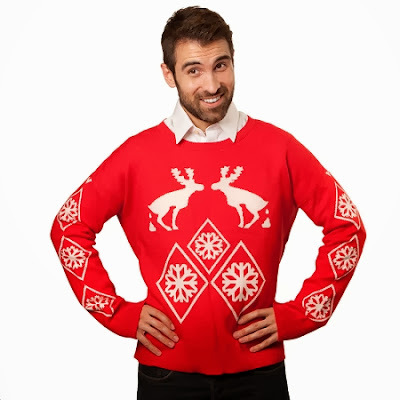 Links to Cyber Monday* gift items for people who like cutesy or adorable things, goofy sweaters, dudes, or random other people who are not named Leyla. *Note: some links are advertisements, but they're still awesome. I Love You Madly mug part of the Giggly Wiggly collection from BoldLoft. 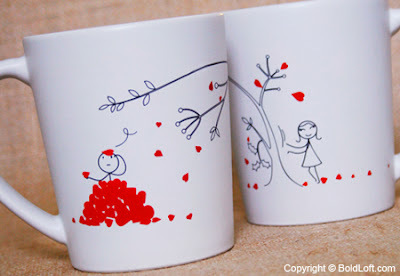 BoldLoft is a small company with an array of gift items for hopeless romantics and generally happy people. In addition to this love mug, you'll find pillow cases, glassware and for the adorable love bird in your life, go here --> for Black Friday / Cyber Monday deals. 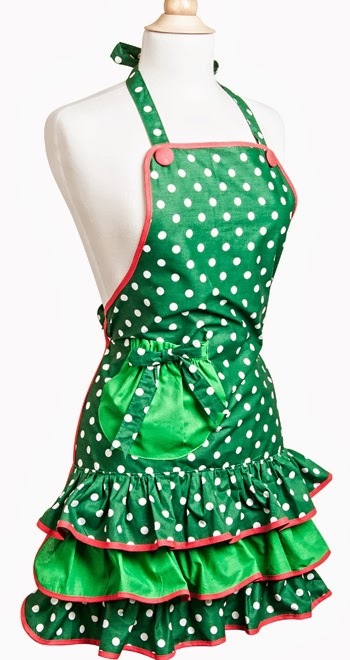 Still on the cute theme, how about this adorable Mistletoe apron? Your gal look like a Christmas doll in this green and white polka dot apron with red trim. Picture her wearing this apron while finishing up those holiday treats for your friends and family. Other women's holiday aprons available at Flirty Apron are available AND for Cyber Monday you can get 45% off your purchase on Monday only when you use the promo code CYBERFLIRTY. 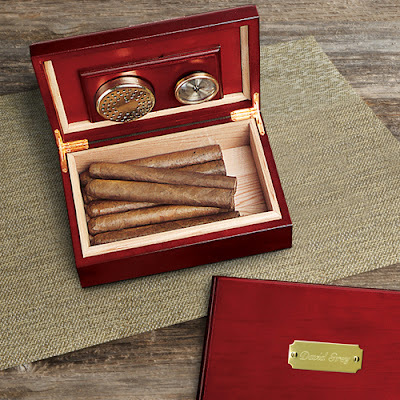 Personalized Humidor, a good gift item for dudes who smoke cigars and people who are named +An Phan or +Michael Altshuler. 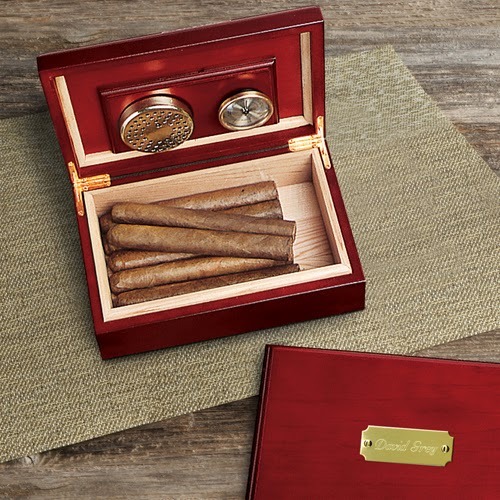 This humidor from A Gift Personalized can be engraved and holds approximately 12 cigars with a cedar divider, 1 round humidifier and comes with a glass hygrometer (what?). It is 25% off for Cyber Monday (under $50). 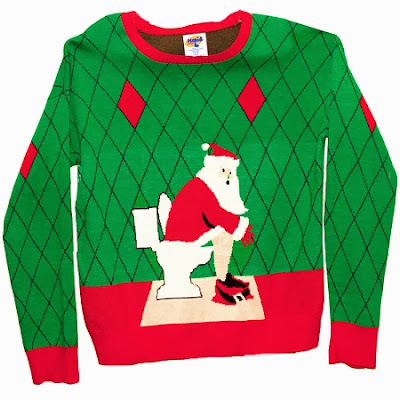 Forget the typical Ugly Christmas Sweater this year, and go for the gold with these offensive Christmas sweaters (actually sweatshirts). Makes a great gift for your boyfriend OR buy it for yourself and wear it to your company holiday party! Even if the holiday sweatshirt isn't your thing, go to Stupid.com and find TONS of awesome gag gifts that are sure to offend just about anyone. Cyber Monday* items for people like me, Leyla. Practical items that you will be able to use for years, skin care to make you look younger and more beautiful while fighting your perma-zits, and absurd must-haves from Korean super stores. *Note, some links are advertisements, so if you buy me something, that's like double bonus for me! Wool socks are my favorite things in the world! 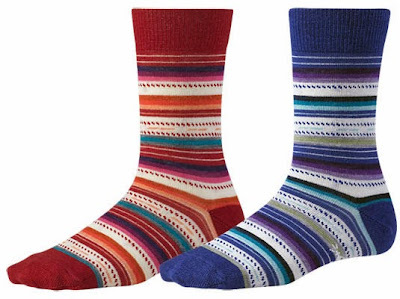 I have wool socks of varying weights (and brands), and I wear my wool socks year-round. Trust me, you will love Smartwool socks (or gloves, or caps) find a ton of Smartwool items on sale for 20% off at Amazing Socks. I discovered Mario Badescu a few years ago and I cannot express how much I love their skin-care products (I do use and love Mario Badescu products, even though this is an advertisement). I have tried numerous luxury skin-care products, from Dior, to La Mer, Lancome, etc. I've also used products recommended by my dermatologist, and I prefer the Cucumber Cleansing Lotion, acne treatment, Vitamin C serum, and others from Mario Badescu to most anything. The prices are already great, but they're offering 25% off and free shipping for Cyber Monday. Last, but most certainly NOT least, I am crazy about almost everything from virtual mega-malls in Asia. I've discussed my obsession with Korean and Chinese virtual malls with +Tony Ham, he was amazed at all the things available. 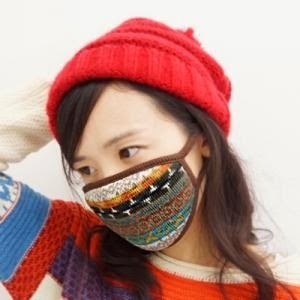 This is where you can find Zentai suits and Cosplay costumes , stylish face masks (like above), and so much more! You go NOW! I hope you enjoyed my Cyber Monday deals, this stupid post took me more than TWO HOURS to write because I put a ton of thought and care into finding you the BEST Cyber Monday deals - and more importantly the DUMBEST Cyber Monday Deals. Please note, I am an affiliate for many of the products featured in this post, meaning I might make $1.50 if you buy something - which is a fraction of what I deserve for taking the time to write this post. Here is more about me and my disclosure.